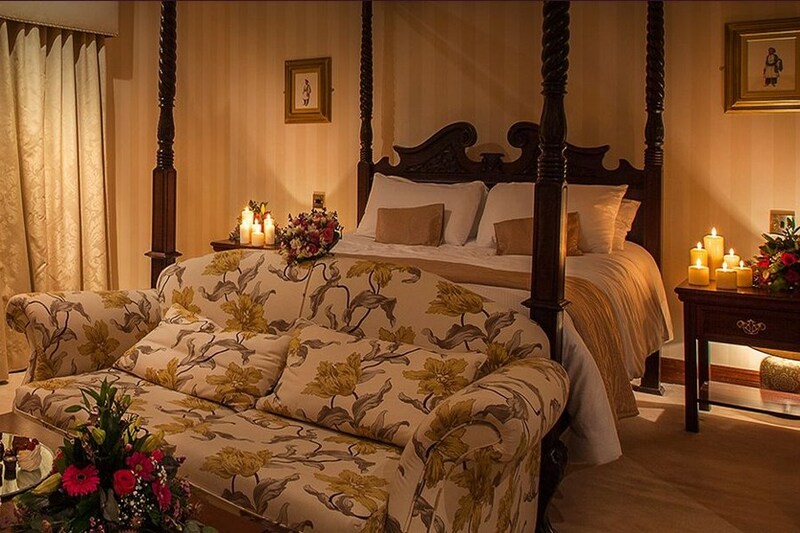 The Seven Oaks Hotel is one of the foremost hotels in Carlow and Ireland. Conveniently located just 3 minutes walk from Carlow Town Centre. From the moment you step into our magnificent reception area you will enjoy the warmest of Irish welcomes from our friendly staff, whose attention to your every need will ensure that you will want to return again and again. Carlow makes an excellent base for your holiday stay with superb golf, walking, river and sporting facilities. The County has it all in a variety of splendid locations, within the town, in unspoilt rural countryside and in peaceful riverside and garden areas. 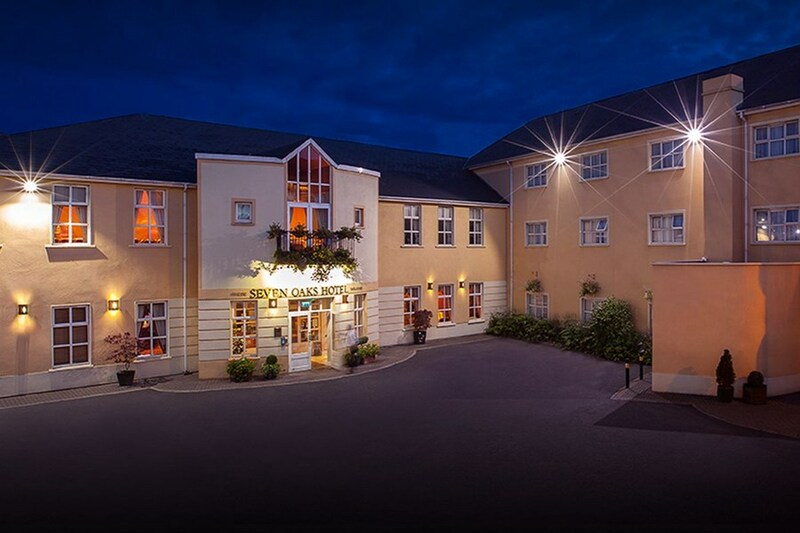 This hotel is in a great location in Carlow town and has lots of parking. It is just a short walk away from the main shopping street. The Fairgreen Shopping Centre is a short drive away - but there is free parking there. There is a great atmosphere in the hotel and there are lots of seating areas in the foyer for meeting up with friends or family or just relaxing. The staff are very helpful and pleasant. Breakfast is excellent and there is plenty of choice. Bar food was also good and our dinner in the function room was tasty and was served by friendly waiting staff. The rooms are a little dated but perfectly functional. ( I have a problem in general with poor lighting in just about all hotels that I have ever stayed in. Why do hotel rooms lack a centre bright light in the room!) Without hesitation, I would recommend this hotel. nice hotel family room good size. staff very nice and helpful nice pool. good location. found the bar menu a small bit pricey but otherwise a nice stay. Couldn't fault our stay,staff very friendly & helpful,leisure centre was excellent,bedroom was roomy,breakfast was great. However the bar food was not good and the time spent waiting for food & coffee was too long.My battered fish was soggy,my partners lasagne was a reheat & the size of the bowl of coleslaw was ridiculously big. This might be a four star hotel but the bar food was no way near four star at the prices charged. Stayed for three nights in the Seven Oaks the staff were friendly and helpful Accommodation was basic no cold water even the cold tap had very hot water in it, staff arranged bottled water for us, food was good a little dear compared to other restaurants in town. The pool was a great advantage. All in all it was pleasant stay. Would we go back? We don't know !! Had a lovely stay in this hotel. Staff are so welcoming and friendly. Very central to the town. Room very clean and leisure centre clean also. Would go back to this hotel again. Great location, free up grade, lovely food and relaxed atmosphere. Will definitely be back and maybe next time bring the kids. Very good location. Very friendly staff. Decor a bit dated. We had a lovely stay staff were friendly food was fab. Leisure facilities were excellent. Rooms were a bit outdated but clean and the beds were so comfortable . Location is great, walking distance to Town (10 mins ).Leisure center is great as the weather was bad when we stayed so children could spend time swimming. Rooms are fresh and clean and the provision of Safety Deposit Box a big asset. Tea / Coffee making facilities are also available in the room. WiFi available throughout the Hotel. Breakfast is very good with a great selection to chose from fresh fruit, cereals, and hot buffet. Dinner was very good however service was a bit slow.A major asset for this Hotel is their Staff, very friendly, helpful and efficient. Would definitely recommend it. Really enjoyed our recent stay at Seven Oaks Carlow recently, room was lovely and breakfast was really good. 22th /23rd of October 2015 Loved the seventh oaks so welcoming . Friendly staff just a fabulous couldn't do enough for you. 10 out 10 to the two ladies on receptions desk. Food is great also rooms. Hotel Leisure Club and staff were very nice too. Mary, Co. Waterford. Loved the seventh oaks so welcoming . friendly staff , lovely food . The hotel has a very warm welcoming entrance .loved the paintings on the walls.just a fabulous hotel. Myself and my partner have always stay in the Seven Oaks when we go to Carlow to visit friends. From the time we checkin to the time we leave I would never have a complaint. I have always found the staff to be very nice and helpfull and food to be of a very good standard. 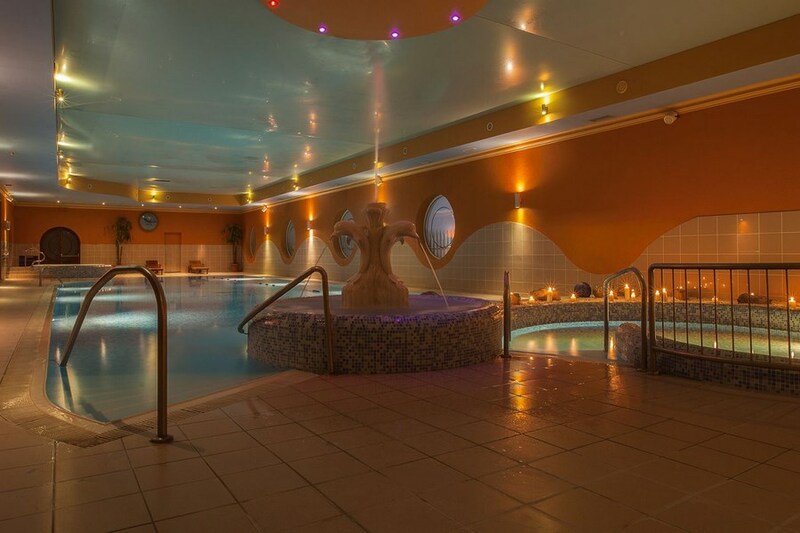 We always avail of the leisure facilities the steam room, sauna and pool and as always clean. Looking forward to my next stay in the Seven Oaks hoping it will be soon. Lovely hotel, very polite and helpful staff. Rooms very neat and clean. Food lovely throughout - Would recommend. Myself and 5 friends stayed at the Seven Oaks hotel last weekend and had a wonderful time. Everyone was very friendly and the staff were most helpful and nothing was too much trouble . We will be back for another weekend soon. Myself and my friend decided to visit the Seven Oaks Hotel for a short break. The hotel was clean and the staff were very accommodating and friendly. There was a great variety of dishes for breakfast and we had dinner in the hotel one of the nights and it was a pleasant evening. We did have reason on one occasion to speak to the management as when sitting in either the bar or the lobby we found the air conditioning to be quite cold. Otherwise we had no issues with the hotel. Good hotel, nice bedroom. Excellent location, with lots of free parking, and a good base for exploring the surrounding area. Location very convenient, pool facilities great, my daughter had a ball. Dairy free alternative to milk available which was great. However, did not find staff overly friendly and the food was pretty disappointing. Got a different menu due to the value deal and it felt like we got leftovers chucked together. Staff didn't even bother asking if it was ok. Family room was a good size, but could do with updating. Shower and tap full of lime, not a lot of info in the room and herbal teas would have been great. We still enjoyed it, but would not have been happy had we paid more. Excellent, staff really nice and helpful, food lovely in the restaurant. The wifi was really good, would go back again. had lovely one night break in this hotel.hotel a little dated but didnt bother me.room nice and clean.ate in dining room for dinner.only beautiful food and staff very nice and helpful.breakfast lovely,good choice of stuff..hotel so busy but didnt hear a thing once i hit the pillow..would return and would recommend it to family and friends.. Wonderful weekend in the Seven Oaks Hotel. The Hotel is in need of modernising but this should not put anyone off as it is more the compensated by staff and service that you receive. We had a table booked for 14 and the Service was first class. Food was excellent and the staff could not do enough to make the whole experience memorable. I would have no hesitation in recommending this friendly if somewhat dated hotel. The first and most important thing is that the staff were very friendly and helpful. The location of the hotel just on the edge of town allowed for easy access to town and to the main roads leading to the many local attractions. We picked Carlow because we had not stayed there before and it was a good choice. Our experience was very pleasant and I felt like it was a value for money break. I personally feel that for a hotel that has been around a while the service has it punching above its weight which is why I am happy to give such a good rating. We stayed in the Seven Oaks Hotel during the Halloween Break. The family room was clean and well serviced. The food was excellent especially the range of breakfast food. The Leisure centre facilities were excellent. We really liked the swimming pool. Staff were very helpful and this added to a relaxing stay. staff very friendly and helpful,rooms very comfortable and food was very good. children enjoyed their stay. We stayed for I night on dinner bed and breakfast deal in July . The staff were friendly and helpful, food was plentiful but the decor could do with updating. The bedroom was big with plenty of space with a single bed plus a double bed. We would stay again but would like to see new upholstery and carpets fitted. Star rating 3.
to the management & staff of the seven oaks hotel, we enjoyed our stay with ye we would loved to have stayed longer but alas that was not to be, the staff were very helpfull and friendly, we were looked after the moment we arrived at reception, we have traveled around the world and stayed in many hotels, in our view this would be number 5 of our hotels in a scale of 10, the food was lovely the room also was what we asked for, just one little thing that some hotels in Ireland don't have compared what we found outside Europe is a small fridge in the bedroom. There is one other point that we think should be looked at, in most hotels that we have stayed in we usually settle our bill when we are leaving not when we arrive, to me it looks like you have no trust in your customers, for older people trying to get into a bath to have a shower should be looked at for safety reasons, it would be nice if there was a room where some trad music was laid on for the guests, it was very disappointing to find there was no suitable music in the town on Friday night to cater for our age group, while there was plenty of disco music around, we don't need head banging music at our age, we do appreciate all age groups have to be catered for maybe this is where the hotels could step in we would and have recommended this hotel to our friends already. Slan. We stayed for 3 nights, the room was very comfortable and clean, the Staff in all areas of the hotel were very friendly and helpful. The food was excellent, we had an evening meal on our package and it was superb, and there was a huge choice for breakfast. We will definitely stay here again and we would highly recommend it. One night stay for a wedding in Carlow. Great value, great location and lovely comfortable room. Only snag was the long meandering walk to the room. We had a one night stay on the Seven Oaks hotel in Carlow. The staff are very friendly and helpful. However the room was over hot. We had no heating on and the window open all night and still we were too hot. The bed was also very creaky! We had a two course dinner and it was delicious . The hotel could do with a bit of modernisation. Probably won't go back to this hotel again. we stayed in seven oaks hotel in Carlow for one saturday night in march.hotel was easy to find with ample parking.room was lovely.leisure centre was good and breakfast was great with plenty to choose from.staff were friendly and helpful. We had a lovely stay at the Seven Oaks Hotel. The staff were very friendly, bar food and restaurant food was lovely. Would definitely stay there again.